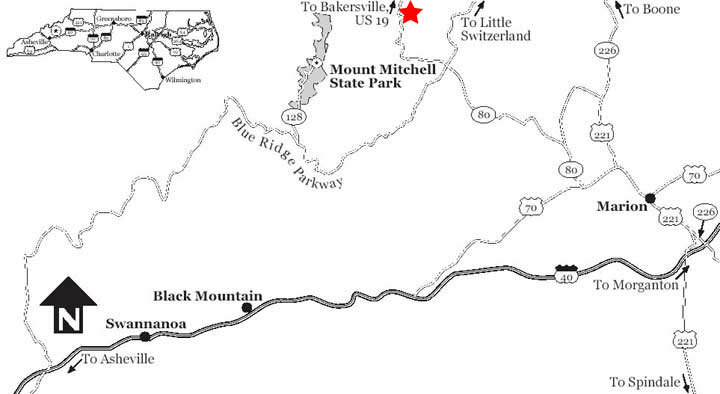 The cabin is located 7 miles south of Micaville on Highway 80; 6 miles north of the Parkway on Highway 80; and 1/2 mile north of the Carolina Hemlocks. Take Highway 26 to 19E. From 19E get on Highway 80 south. The cabin is 7 miles south, just past the Baptist church on the right. If you reach the Carolina Hemlock Campground, you’ve gone too far.